Welcome to an unrivalled experience in the art of tea, safe in the hands of one of India’s pioneering tea-planting families at this boutique hotel. 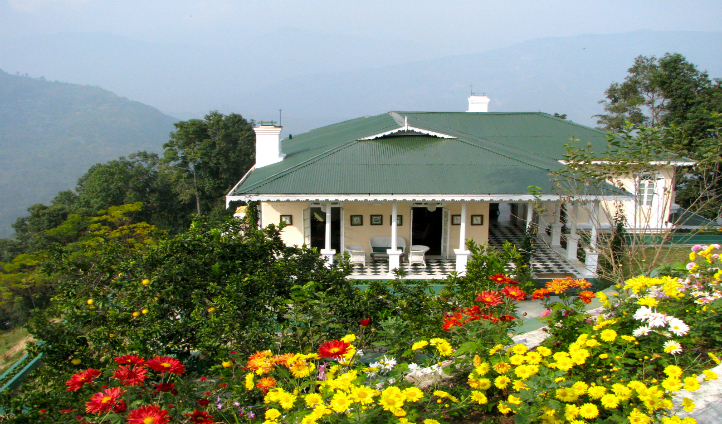 Glenburn Tea Estate is a Himalayan retreat like no other and elegantly demonstrates one of the country’s most important cultural heritages that is equal in stature to the wine retreats of Europe. Take a four-hour drive from Bagdogra Airport, passing India’s tea capital, Darjeeling, as you go. 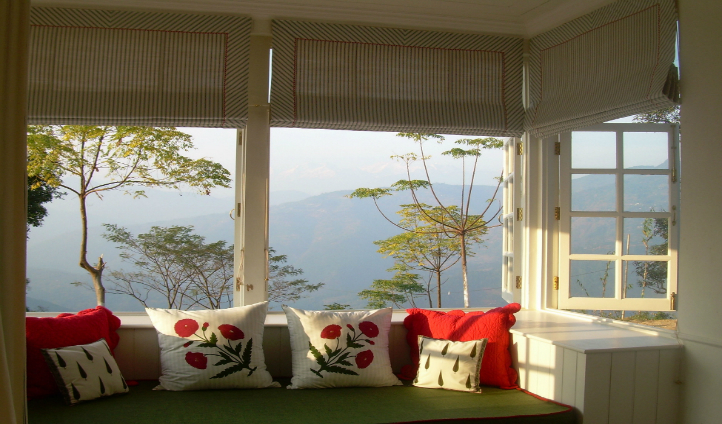 High in the Himalayas, above the banks of the River Rungeet, your perfect tea plantation retreat awaits. And your backdrop to this already stunning scenery? The mighty Kanchenjunga mountain range, headed by Mt Kanchenjunga. Glenburn is the perfect location for an outdoor adventure, exploring and learning about the wealth of tea plantations at your fingertips. For an alternative to tea, Kitam Bird Sanctuary is nearby, home to 200 different species of bird and beside the emerald green Rangit River. Your accommodations is in one of two bungalows, each comprising four suites, a cozy living area, and the all important veranda to enjoy that sweeping mountain view. We love the Water Lily Bungalow simply because of its name, but also due to small details, such as the bathroom’s Venetian mirrors in front of old fashioned washstands, that make it extra special. Enjoy a walk-in rain shower after an exhilarating hike up and down mountains, through rural villages and beyond. Without a doubt, Glenburn’s tea experience is the star of the show for us here at Black Tomato. Experience a legacy that has lasted over 100 years, and is fiercely entwined with that of the whole country. It can be tempting to explore every beguiling nook and cranny of the surrounding area during your stay, but make sure to schedule some time for relaxation with a book and a cup of tea, of course.